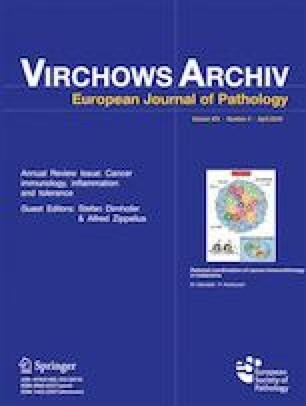 Despite distinct clinical presentation and outcome, systemic, primary cutaneous, and breast implant-associated anaplastic large cell lymphomas (S-, PC-, BI-ALCL) ALK-negative (ALK−) show similar histopathological features including the presence of the “hallmark” cells with horseshoe-shaped nuclei and CD30 protein expression. The purpose was to better characterize these three entities using immunohistochemistry and FISH (Fluorescent in situ hybridization) to identify biomarkers differently expressed and that might be involved in their pathogenesis. Twenty-two S-ALCL ALK−, 13 PC-ALCL, and 2 BI-ALCL were included. Cases were tested for P53, P63, MUM1, MYC, GATA3, p-STAT3, PD1, and PDL1 protein expression and DUP22, TP53, TP63, MYC, and PDL1 chromosomal aberrations. As expected, S-ALCL ALK− patients had adverse outcome compare to PC and BI-ALCL. No difference was observed between the three groups concerning protein expression except for MUM1 that was significantly more frequently expressed in S-ALCL ALK− compared to PC-ALCL. In particular, constitutive activation of the STAT3 pathway and PDL1/PD1 immune-checkpoint expression was present in the three entities. TP53 deletion and PDL1 gene amplification were the commonest cytogenetic alterations and were present in the three entities. None of the studied biological parameters was associated with prognosis. Despite distinct clinical behavior, S-ALCL ALK−, PC-ALCL, and BI-ALCL share similar biological features. Larger series should be investigated with the current approach to determine more precisely the activity and the prognostic value of these biomarkers and pathways in each group. The online version of this article ( https://doi.org/10.1007/s00428-019-02570-4) contains supplementary material, which is available to authorized users. V S, M A, V C-M, and V C designed the research project. V S, A G, L D, and V C-M evaluated the histological and immunohistochemical findings. V S, M A, A T, L D O, A T, and V C evaluated the cytogenetic findings. V S and A G obtained data and wrote the main part of the manuscript. M A, V C-M, O D, S G, L D, A T, and V C reviewed the draft with critical comments. This study was carried out in agreements with the Declaration of Helsinki and was approved by the Centre des Ressources Biologiques (CRB) of the Centre-Hospitalo-Universitaire (CHU) of Montpellier, France. Written informed consent for the study was obtained from the patient.